Jennifer has a diverse background with experience in research, education, leadership development, service delivery and regulatory frameworks. She is sought after to lead complex reforms, particularly those requiring extensive stakeholder engagement; and is known for her pragmatic approach to ensuring that regulation is appropriate and applicable. Jennifer has held various roles in federal government and in the tertiary sector. Negotiated a revised leadership development strategy for a large Australian Government department and successfully implemented the approach. 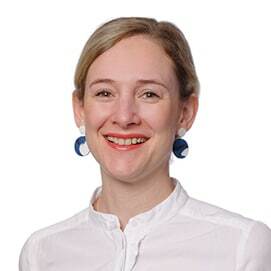 Prior to joining Nous, Jennifer worked in a variety of roles in the Australian Government. She has experience in both governance and strategic reform. Prior to this she held administrative and teaching roles at the Australian National University. Jennifer has a PhD in Sociology and a Bachelor of Arts (sociology and political science) from the Australian National University and a Master of Criminal Justice from Monash University. Jennifer enjoys experiencing new food ventures with family and friends, embarking on do-it-yourself projects around the house and camping with her family. She also enjoys science fiction and spy novels.